“Is It Jade? Or Is It Pseudojade?,” National Assoc. of Jewelry Appraisers, Mid-Year Educational Conference, Baltimore, 12 August 2018. “Is It Jade? Or Is It Pseudojade?,” presentation to the Gemological Institute of America, New York City, 10 October 2017. “Tian-Tsui: Chinese Kingfisher Feather Jewelry,” Jewelry History Series, Miami Antiques Show, 27 January 2016. “Understanding and Evaluating Chinese Jade,” National Association of Jewelry Appraisers 44th Annual Mid-Year Educational Conference, Washington DC, 9 August 2015. 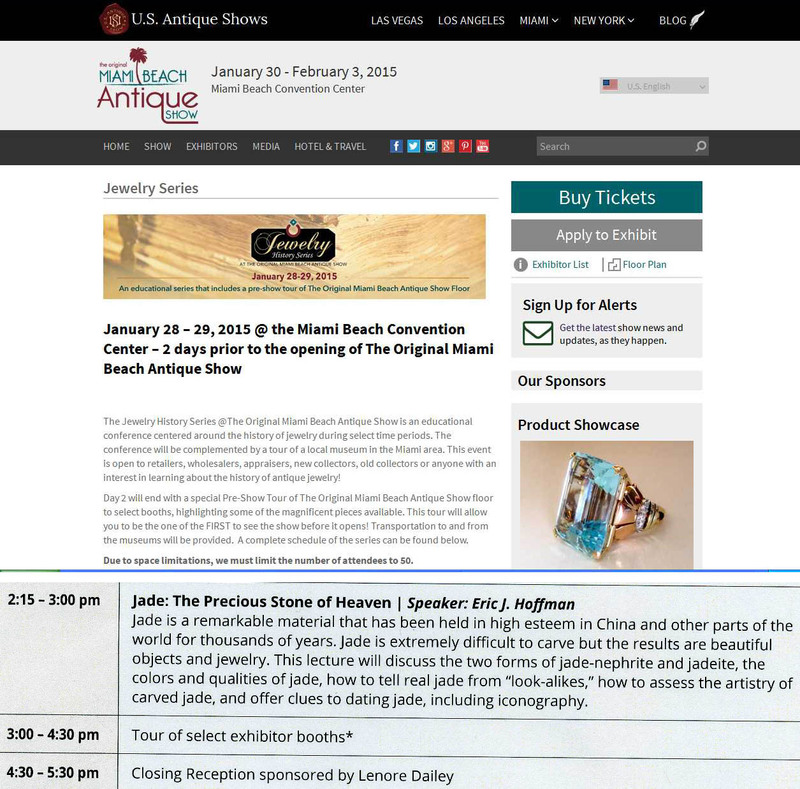 “Jade: The Precious Stone of Heaven,” Jewelry History Series, Miami Antiques Show, 29 January 2015. 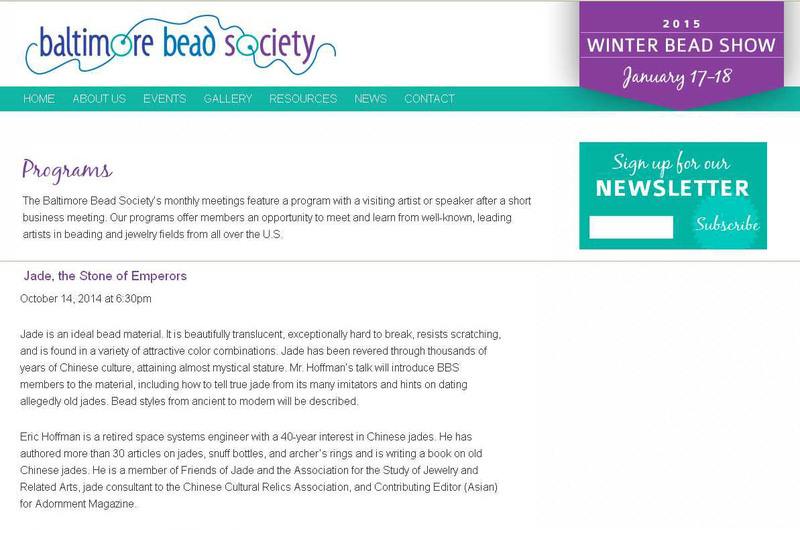 “Jade - The Stone of Emperors,” presentation to the Baltimore Bead Society, 14 October 2014. “Jade, the Precious Stone of Heaven,” Asian Jewelry Conference, The Rubin Museum and ASJRA, New York City, 20 September 2014. “Icy Jade,” ASJRA Newsletter, Jan 2014. Reprinted in Bull. New York Mineralogical Society, Sept 2014. “Jade - The Stone of Emperors,” presentation to the Bead Society of Greater Washington, Chevy Chase, MD, 13 November 2008. “Understanding Old Chinese Jades,” presentation to the Gemological Institute of America, New York City, 15 November 2006. “Miniature Masterpieces: Chinese Snuff Bottles,” presentation to Pikesville Women’s Group, September 2006. 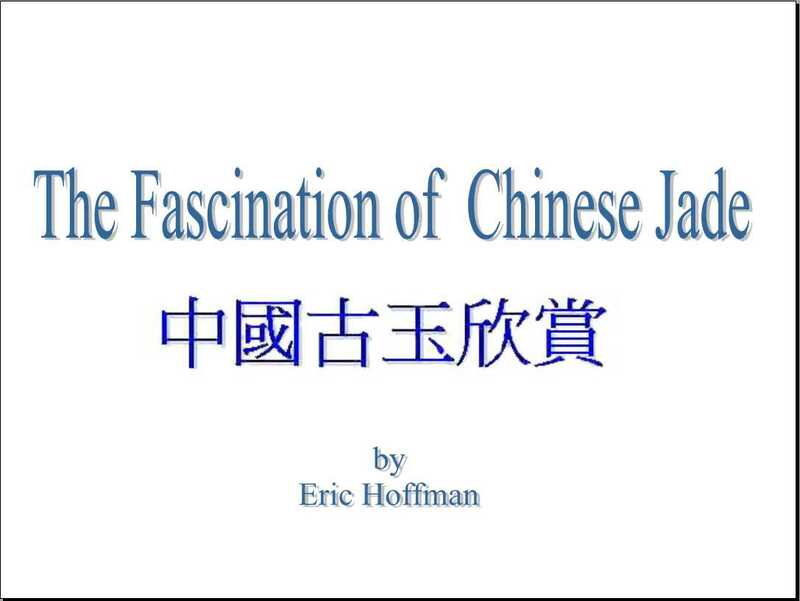 “The Fascination of Chinese Jade," presentation to Pikesville Women’s Group, March 2006. “Old Chinese Jades: Real or Fake?” Unravel the Gavel, Vol. 16, No. 10, 18 Nov 2005 (Reprinted by Friends of Jade (Feb 2006); Antiques and Auction News, Vol. 37, No. 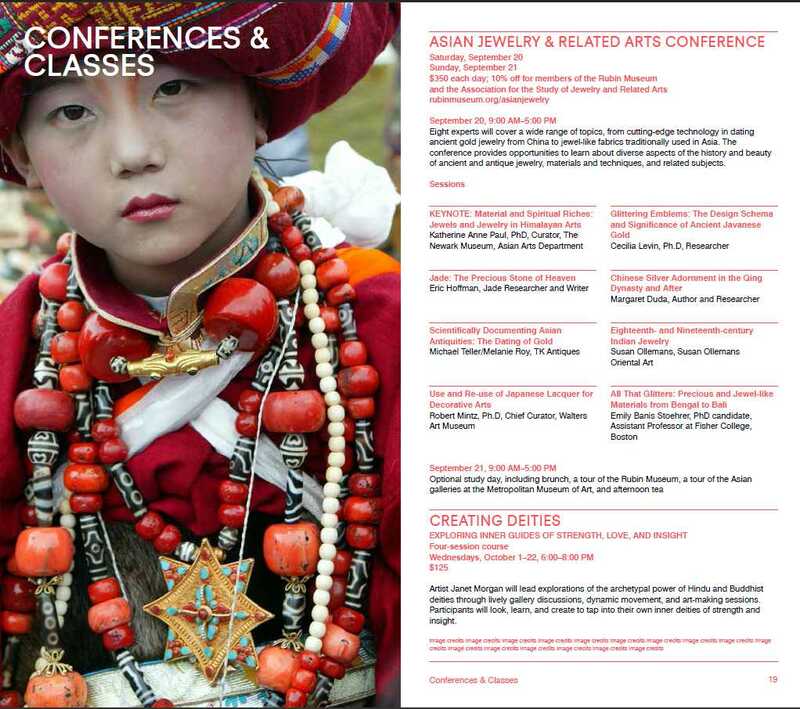 11 (Mar 2006); Asian Arts Web site (Dec 2007); by Kunstpedia (Netherlands, Mar 2008)); Wikipedia reference (Jul 2008). “Appreciating Old Chinese Jades,” presentation to the Chinese Cultural Relics Association, New York City, 30 April 2005. “Chinese Snuff Bottles: Masterpieces in Miniature,” Adornment, Vol. 5, No. 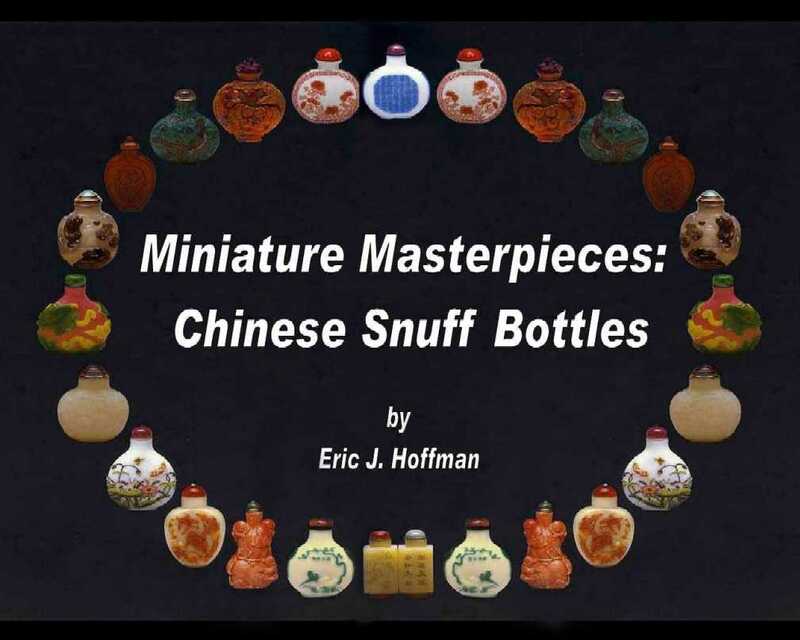 2, May 2005 (Reprinted as “Miniature Masterpieces: Chinese Snuff Bottles” in Antiques and Auction News, Vol. 36, No. 38, Sept 2005; Wikipedia reference, July 2008). “Jade: Symbol of Beauty, Nobility, and Perfection,” Adornment, Vol. 4, No. 4 (July 2004) (Reprinted by The Journal of Antiques and Collectibles (Jan 2005), Friends of Jade (Apr 2005), and by Antiques and Auction News, Vol. 36, No. 29, July 2005).